The announcement that President Obama is appointing a bipartisan Presidential Commission on Election Administration was the obvious big news from last week’s State of the Union address. 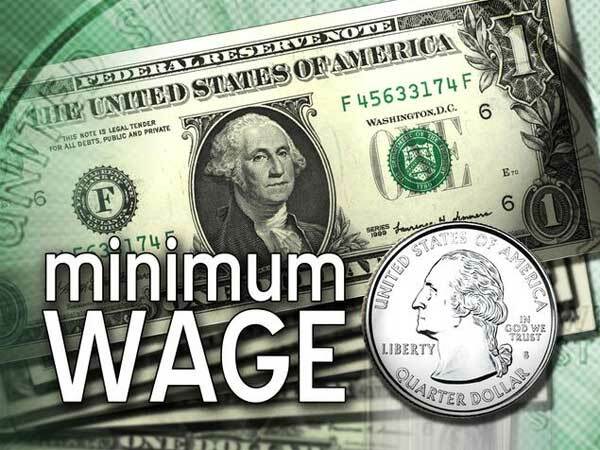 [President Obama] proposed raising the minimum wage to $9.00 an hour. If you’ve followed this blog, you know the blog isn’t political. My reaction to the minimum wage issue is not intended to provoke debates on federal vs. state sovereignty or whether we need a minimum wage at all. The minimum wage statement was impactful to us in elections because our elections ride the backs of persons who make less than that $9 rate. I’m not just talking about election workers, who at $110 for a 14-hour day would need to be raised $16 for the day ($25 in presidential elections) just to be at this new minimum wage. We already pay workers just $15 for three-hours of training, so I’m not sure that minimum wage laws actually apply to election workers. Our election workers haven’t had a raise in seven years so we’ll be pushing for it, regardless. But beyond issues of cost and fairness, Brian has another vitally important point – that a hike in the minimum wage is bound to force a re-examination of who, exactly, is doing what in preparation for Election Day. [I]n an office where we have the same number of full-time staff that was here more than 20 years ago–despite more than twice as many voters and precincts, as well a compendium of new laws, technology, and increased expectations–the dirty secret of elections in Johnson County, and elsewhere, is that much of the heavy lifting is done by people who can make more doing just about anything else. Our top temporaries–those who process registrations in busy times, process advance voting applications, check signatures on the applications, check in and scan mail ballots, mail out the thousands of ballots we have, and check and program our voting machines–typically make $8.75 an hour. Generally, they are election workers who have signed up for more duty in our office. In the busiest of times, just before the presidential election for instance, we have to bring in additional temporary-agency employees who are less skilled than our workers and are paid at least $3 more per hour. On one hand, election administration creates situations where, instead of five temporary employees for 10 hours, we need 10 for five hours–to test and proof the ballot layout on our voting machines, for instance. But the temporaries often are plugged in to avoid the reality that we are understaffed. [W]e run our democratic process with people paid minimum wage? Be the first to comment on "Newby on the Other Big Election News in the State of the Union"